Hello beauties! Hope you all are doing greatJ. 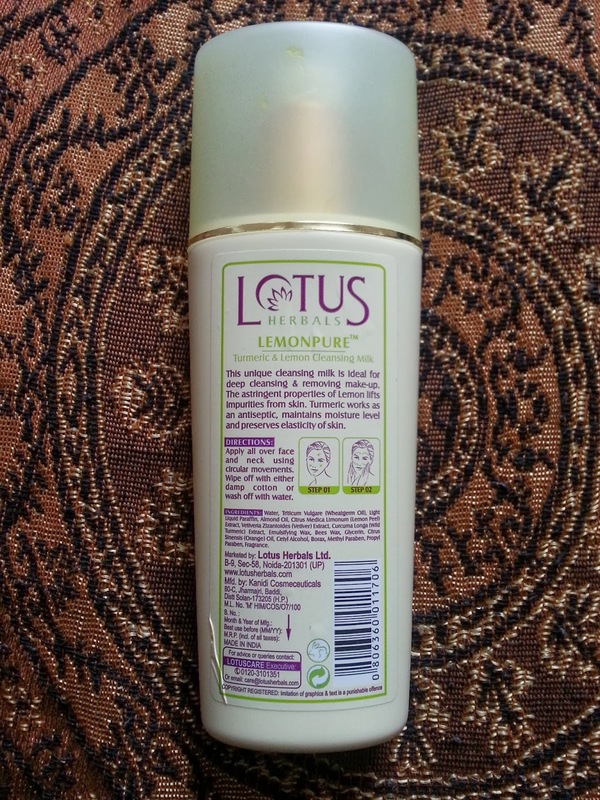 Today I am here to review “Lotus Herbals Lemonpure Turmeric & Lemon Cleansing Milk”. 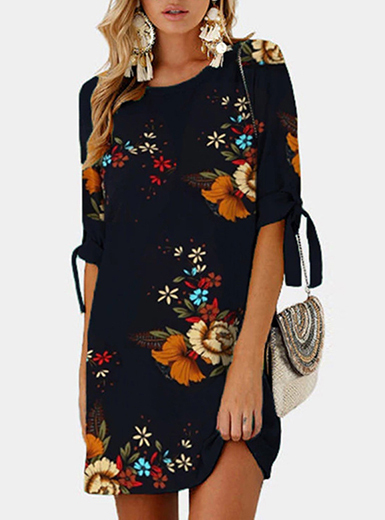 Using cleansing milk has become very important for us now days as moving around in traffic, dust, pollution makes our skin dull, dry and lifeless. Regular exposure to all these things damages skin texture and regular cleansing removes all impurities and preserves a healthy and radiant skin. 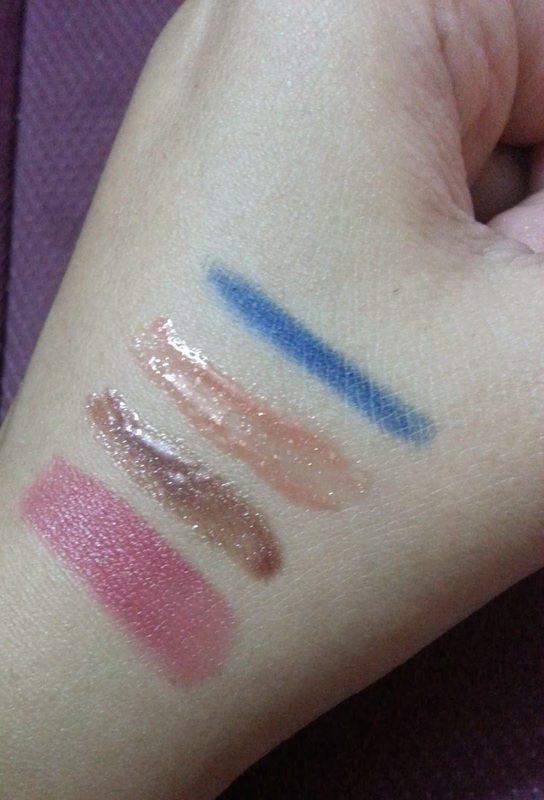 So gals stay tuned for the review. Direction: Apply all over face and neck with circular movements. 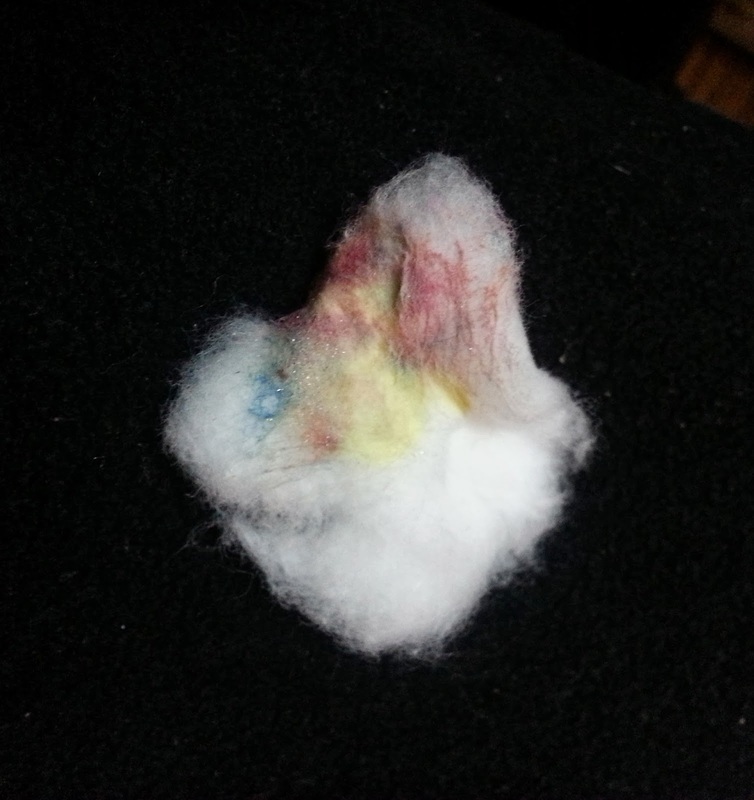 Wipe off with either damp cotton or wash off with water. Well I have always liked Lotus products except an eye liner I used from this brand. So let us talk about the packaging first. The cleansing milk comes in a lemon yellow color bottle with a pump attached to its mouth. 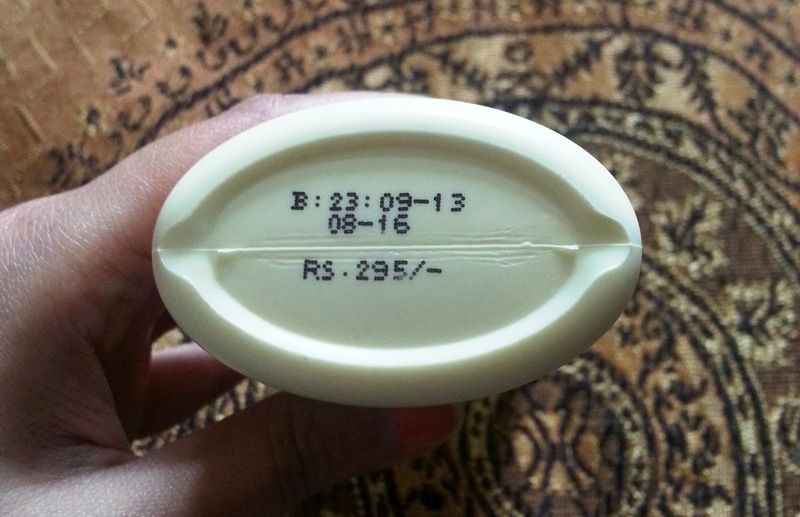 The pump makes it very easy to take the product out without any wastage. The cap is tight enough to avoid any kind of spillage or leakage. Now coming to the texture of the product, the cleansing milk has a thick consistency as compared to the other cleansing milks available in the market. 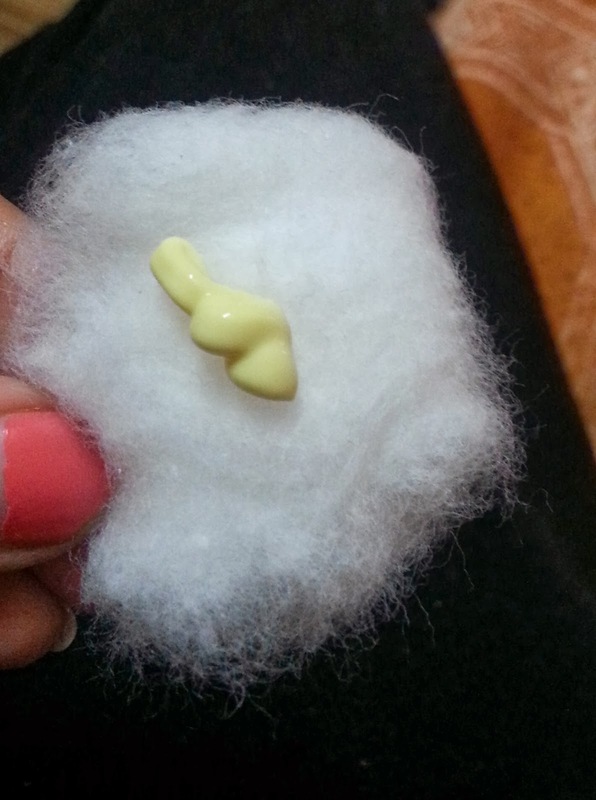 It is lemon yellow in color. It has a very mild and lemony fragrance which I liked a lot. So let us talk about its performance as cleansing milk. I found it pretty good as cleansing milk. 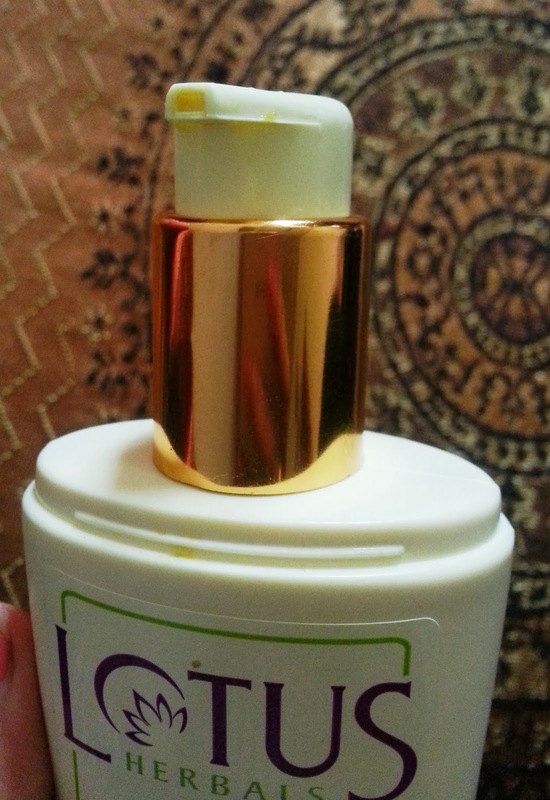 It removes makeup easily without putting in much of efforts and leaves my skin soft and supple. It does not dry out my skin. After using the cleansing milk my skin feels very refreshed and skin pores feels so clean. It easily removes foundations, lipsticks, concealers, eye shadows, blushes and smudgy liners. 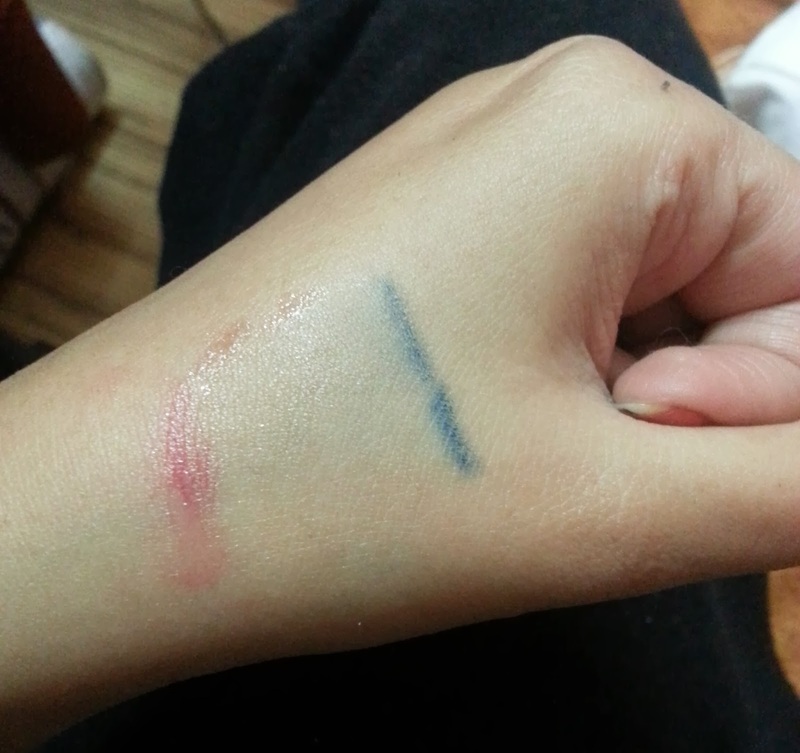 But when it comes to long lasting and smudge free mascaras and eyeliners, I had a hard time removing them. 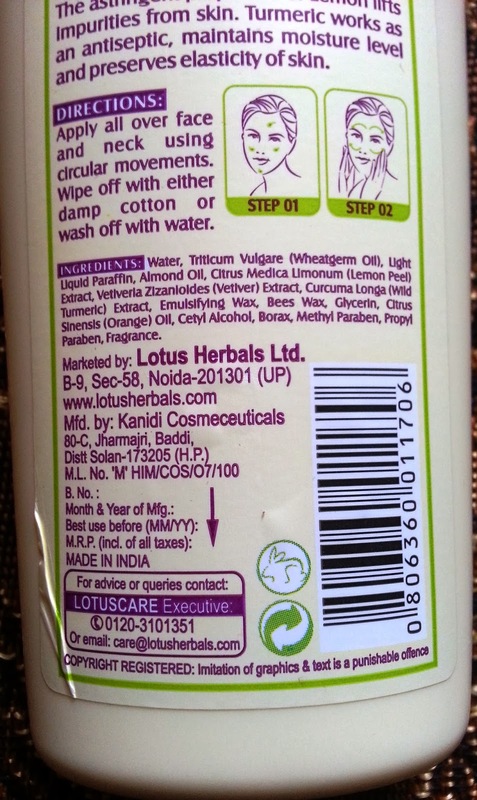 So it is better you use a separate eye makeup remover instead of this cleansing milk for removing eye makeup. Otherwise for removing dirt and face makeup it does an amazing job. The quantity of the product is also good as a result of which a little goes a long way. 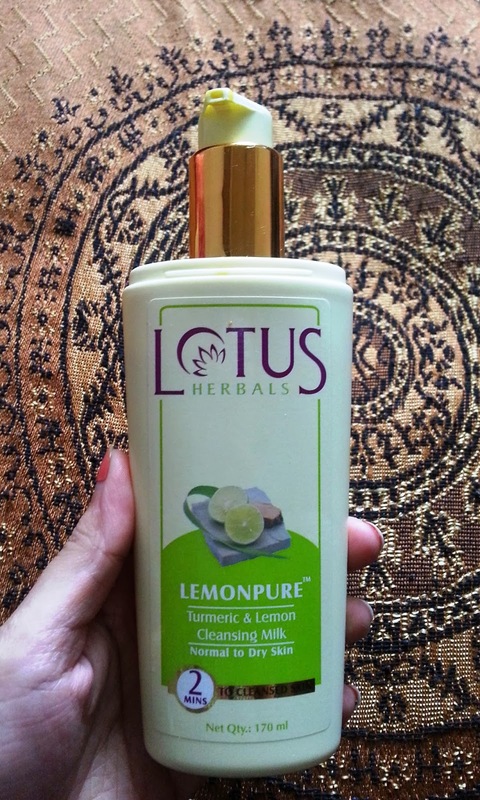 Moreover it contains very good ingredients like lemon and turmeric which are good for skin. So overall I am very much satisfied with this product as it stands tall by its claims and it does an excellent job for normal to oily skin. 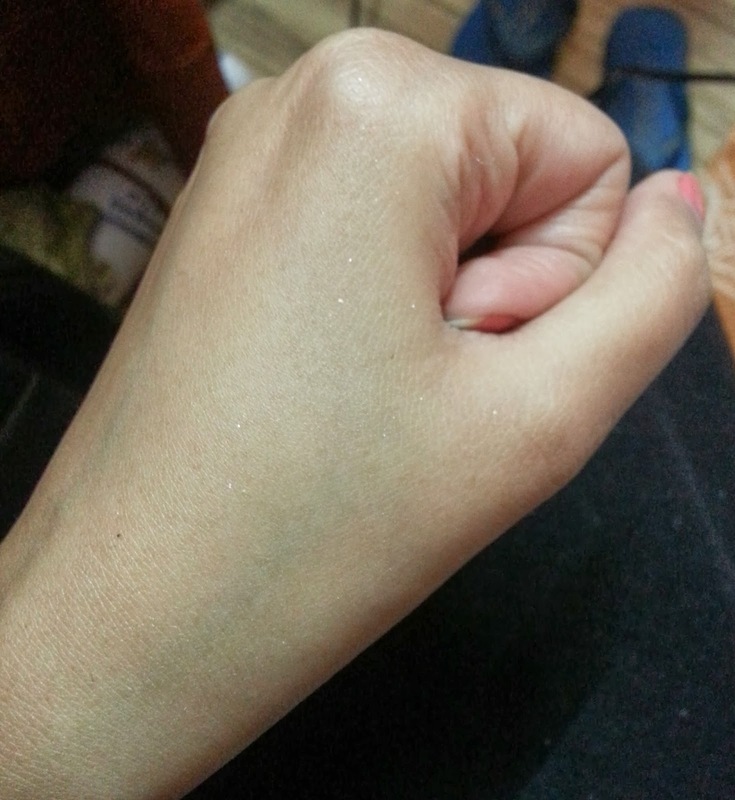 Removes makeup easily without putting in much of efforts. The pump dispenser avoids any king of wastage. 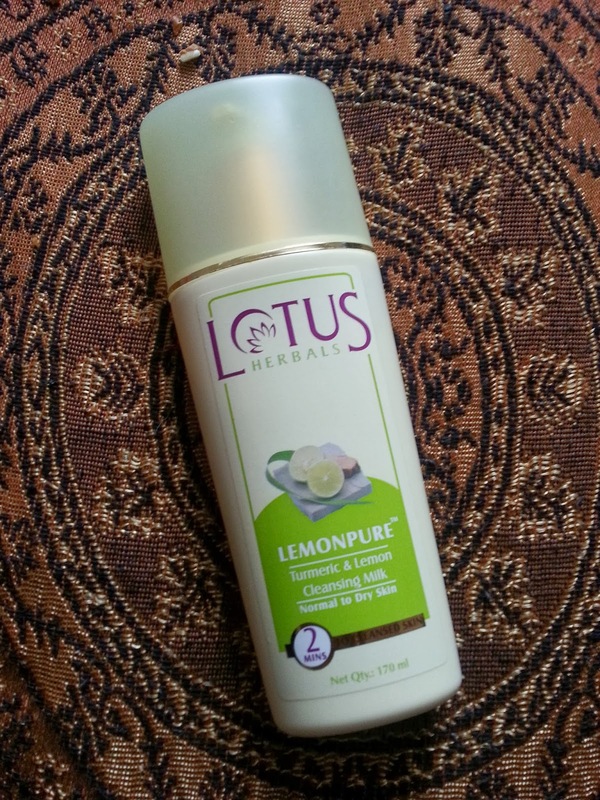 Makes skin feel refreshed and pores feels clean. Good quantity, a little goes a long way. Ingredients like turmeric and lemon are good for skin. 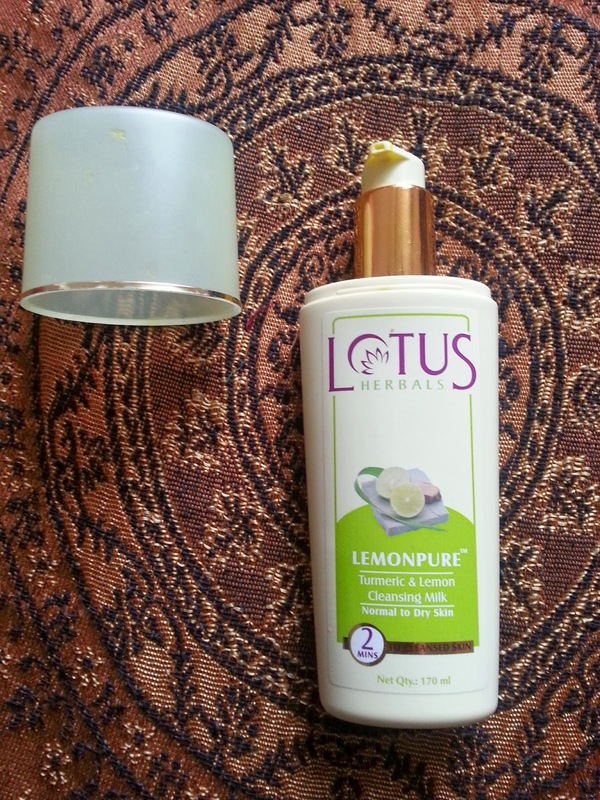 Will I repurchase Lotus Herbals Lemonpure Turmeric & Lemon Cleansing Milk?? Yes definitely, it does an excellent job as cleansing milk. 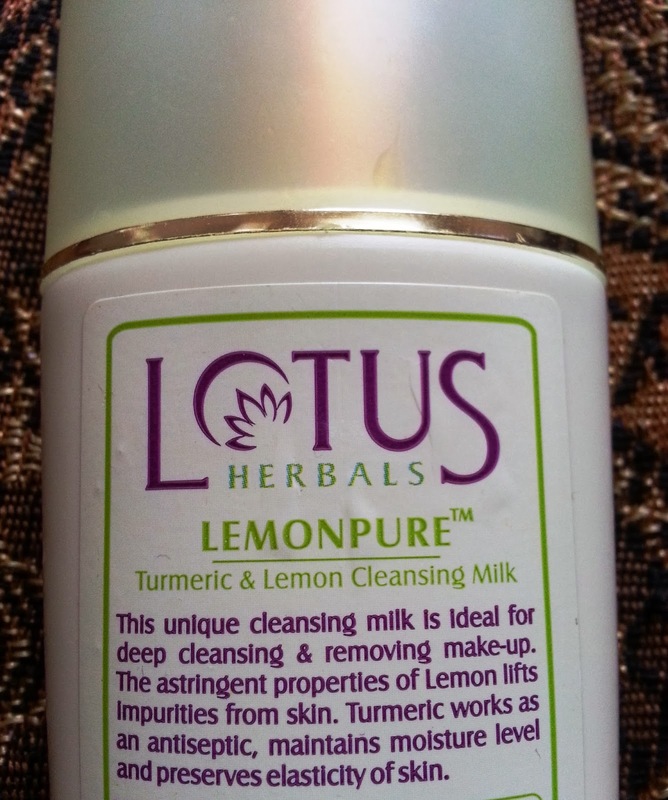 Do I recommend Lotus Herbals Lemonpure Turmeric & Lemon Cleansing Milk?? Yes I do recommend it to all having normal to dry skin, it is an excellent product which stands tall by its claims. take care and stay gorgeousJ.